The National Day of Prayer was held nationwide. In Washington D.C., President Trump and Vice President Pence also held a National Day of Prayer. Because the truth of Jesus Christ and support for religious liberty were clearly proclaimed by President Trump. Trump made the proclamation that guarantees the government will not interfere with religious groups trying to help people. In the past, the government has discriminated against churches and charities for helping people because of their faith. For example, FEMA refused to give recovery aid to religious organizations in the wake of natural disasters like Hurricane Harvey. President Trump, however, is bringing radical change. He signed an executive order that ensured that the government will protect faith-based organization and give them fair access to funding. Trump shocked everybody by proclaiming the truth of Jesus Christ. Trump proclaimed the transforming power of Jesus Christ by telling the story of someone who accepted Christ in a dramatic way. Trump told the story of Ji Seong-ho, a North Korean defector who was tortured by the government and eventually escaped. Seong-ho is a Christian who could have been killed for his faith in North Korea. But Trump told of his powerful faith, and how he prayed the Lord’s prayer over and over during his captivity—helping him to hold onto hope for freedom. Trump declared the importance of religious freedom – and freedom of speech – to the well-being of America. 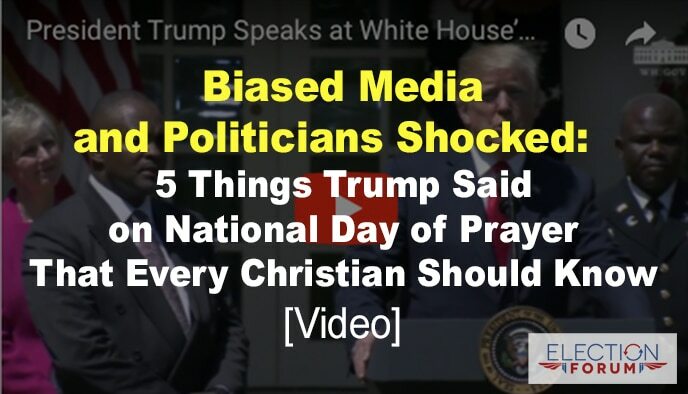 In an age when Christians have been censored, sued and persecuted for standing by their religious convictions – and exercising their freedom of speech – President Trump affirmed the importance of First Amendment rights. Trump took a stand for religious freedom, making a firm statement to radical progressives who want to rob Christians of their rights. Trump affirmed the centrality of God to the foundations of America. President Trump talked about how God is central to the Declaration of Independence, in the Pledge of Allegiance, our national monuments on our currency. When radical liberal politicians are trying to take God out of our schools, businesses and even homes, Trump is declaring that belief in God is core to our very nation. The National Day of Prayer was a significant turning point for religious freedom in America. 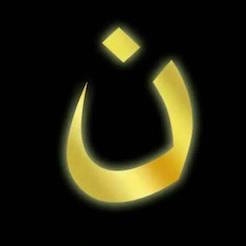 President Trump took a bold stand for liberty and faith in a time when Christians in particular are being attacked and persecuted – right here in America. God is still on His throne! Thank the Lord for what He is doing in President Trump’s life. God is great! Thank you so much for letting us hear the President proclaiming the power of prayer. I am so thankful that we have a president who recognizing God and will do what he can do to protect our religious freedom. Praise God! Only God could be doing this! It’s sure not coming from President Trump’s old, proud nature. President Trump is demonstrating leadership. Having a president in office that is proclaiming and acknowledging God Almighty as the foundation of our blessed nation is so refreshing! I appreciate President Trump’s actions to correct and remove biases against Christianity. Thank you, Mr. President!. Grateful to see this video. Sad that most media outlets won’t show this. Shame on him the two faced racist. Why is Trump a racist?